Graphic Sweatshirt Just $21.95! Down From $40! Shipped! You are here: Home / Great Deals / Graphic Sweatshirt Just $21.95! Down From $40! Shipped! 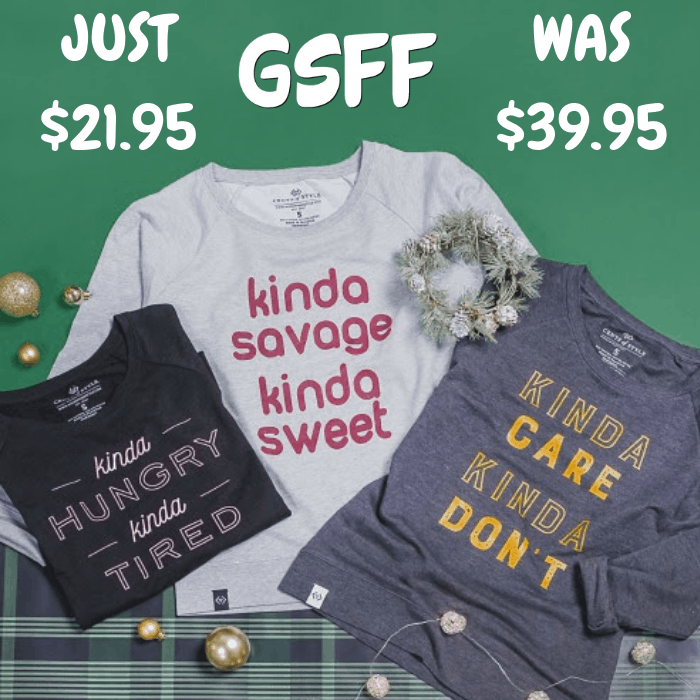 Head over to Cents Of Style to score this Graphic Sweatshirt for just $21.95 down from $39.95 when you use promo code KINDACOOL at checkout PLUS FREE shipping! Let people know the type of person you are with this relaxed and ultra-comfortable sweatshirt. So you know how to be naughty and nice as you take on your every day.